Conveniently located directly across the street from San Diego cruise ship terminals and just minutes away from San Diego International Airport. Welcome to San Diego’s finest Airport & Cruise Ship Parking Facility -Wyndham San Diego Bayside! Located directly across the street from the San Diego Cruise Ship terminals and just minutes away from San Diego International Airport, we welcome guests to our parking garage, with covered and open parking. Save time and guarantee your parking space today! 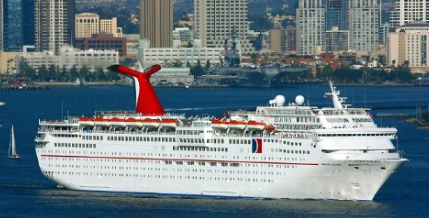 Ace Parking is pleased to welcome San Diego’s finest Airport and Cruise Ship Parking Facility. Wyndham San Diego Bayside! Located minutes away from San Diego International Airport, we welcome guests to our parking garage, with covered and open parking. Additionally, we are happy to offer all guests complimentary shuttle service to the airport, which departs every half hour, from 5am through midnight. With our secured parking, you can rest at ease, knowing your vehicle is safe with us while your travels take you a far. For those guests looking to rest and relax on one of San Diego’s find Cruise Ships, look no further for your parking needs. 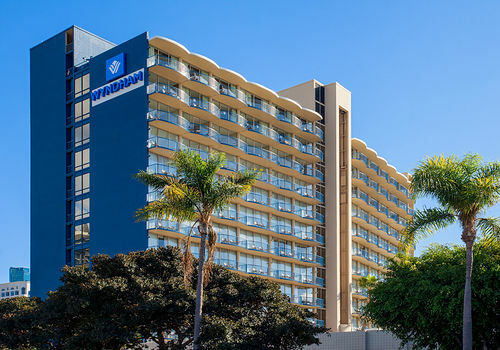 The Wyndham San Diego Bayside is located directly across the street from the San Diego Cruise Ship terminals. Why lose valuable time waiting on shuttles or taxis, when you can simply cross the street. If you find yourself in need of luggage assistance, we’ll be happy to assist you as well. The last thing you want to worry about when making travel plans is your car. Copyright © 2019 Ace Parking Management. All rights reserved.